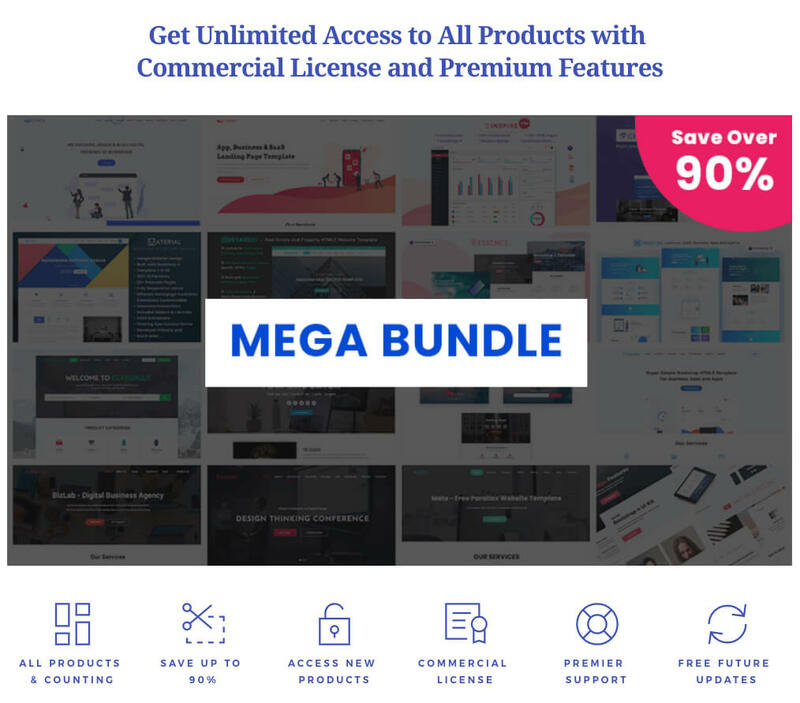 The stack is the free and premium business website template which essentially gives your corporate website a kick-start with all the creativity in the pocket. 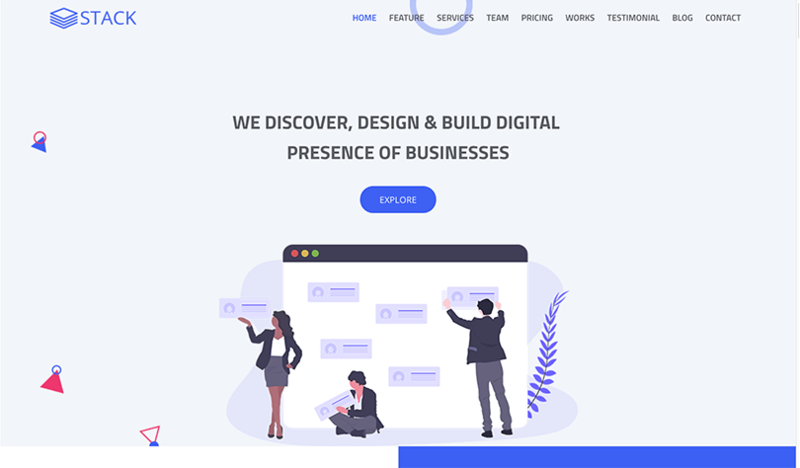 Based on the latest version of Bootstrap 4, Stack is a business, agency, startup, and corporate template that is combining all the essential features of a corporate website and providing the best user experience ever. Ideally crafted with all the cutting edge technologies, Stack has all the growth features on its list that build the best relationship between customers and the visitors. The innovation and creativity of Stack are something that correlates directly to professionalism. In a nutshell, Stack is the ideal business template for any developer who is right now in the field of making a corporate website or an eCommerce platform from scratch. The clean design and the fully responsive layout are the two main pillars that lay the base of an ideal business website for any developer. Essential & Feature-rich UI components makes this template more flexible. The stack is ideally crafted as a business, startup, agency or corporate template; thus it provides the best experience to the business or corporate website developers. The complicated yet simple layout of this template is the best thing that can lure all the people in using it. Also, a great user interface is the main attraction of this template. As expected, Stack is based on the latest version of Bootstrap 4. Thus, it avails extreme flexibilities in terms of developing any business or corporate website. Also, Bootstrap 4 provides the freedom to the developers to experiment more cutting-edge features. Stack has all the sections to build up your complete website. Almost all essential comes with the template so you can create your site smooth and flawless as well. The flawless UI/UX design of Stack has made half the work done for the developers. With friendly user experience, Stack is one of the greatest business templates that make all the essential information easily available. The stack is fully responsive and compatible to all modern browsers out there such as the Chrome, FireFox or Safari, Opera, Edge etc.